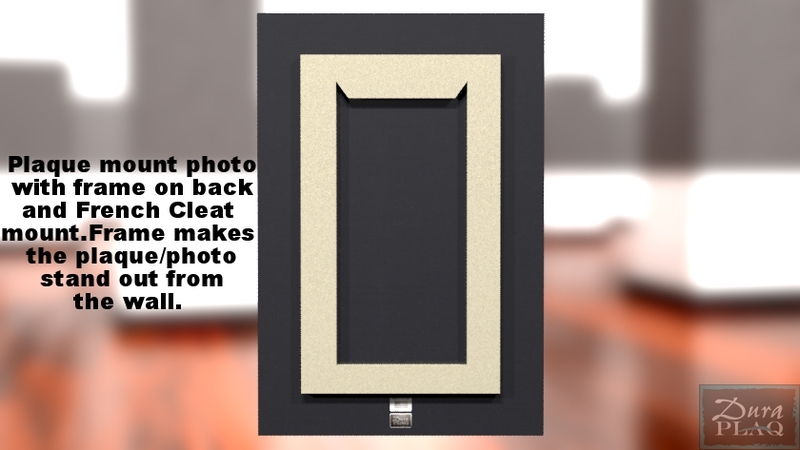 Plaque mount photos: are either prints on photo paper mounted to a rigid board called a "plaque" or prints made directly to a specially prepared plaque surface for cost savings. The direct print method will have more of a "matte" finish while the photo print plaque can have a satin finish. 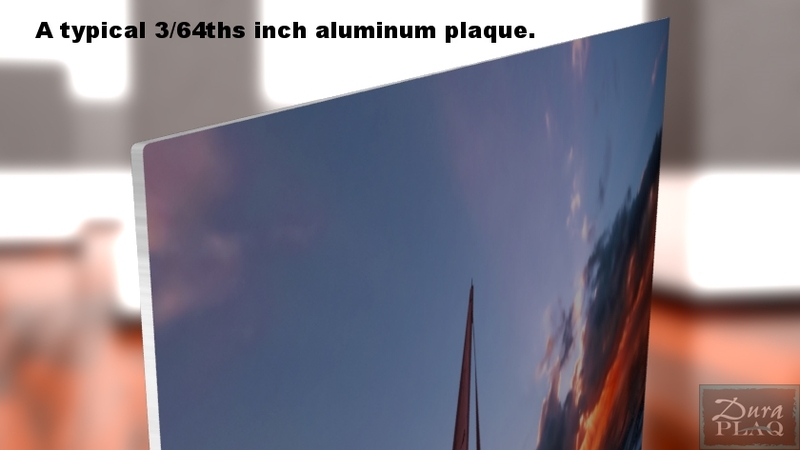 The plaque thickness can be varied. 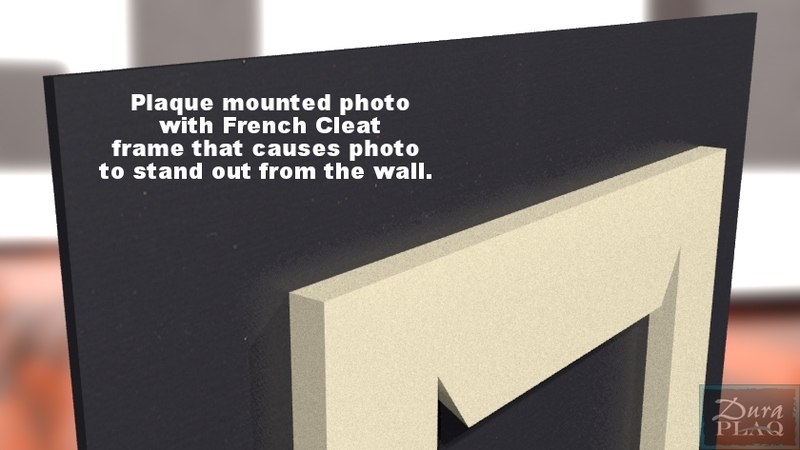 For mounting a plaque within a frame, there is a thinner plaque designed for being inserted in a frame resulting in some cost savings. 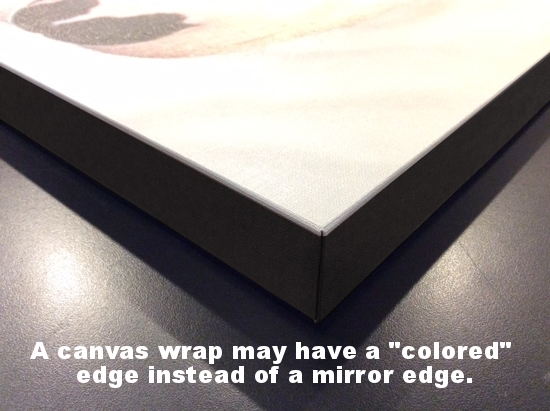 Canvas wraps: again are either printed to canvas and then "wrapped" around a frame and given a solid surface behind the canvas to prevent warping, stretching or distortion, or can also be printed directly to a solid surface that mimics the appearance of canvas for costs savings. 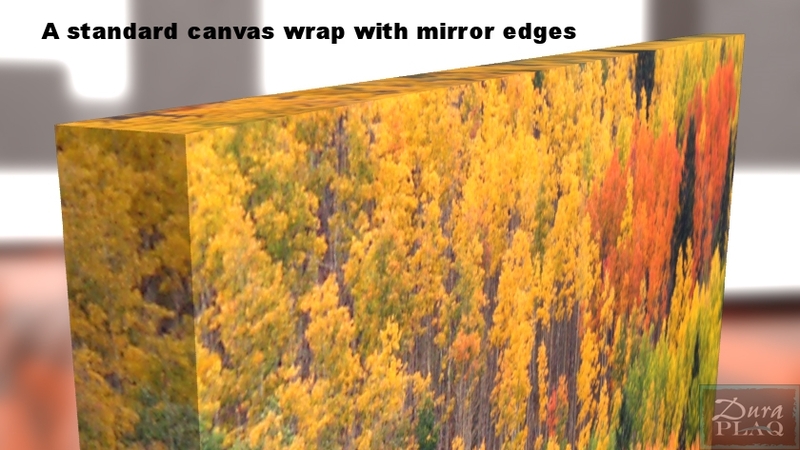 The wraps printed to canvas will have a more satin and glossy finish. 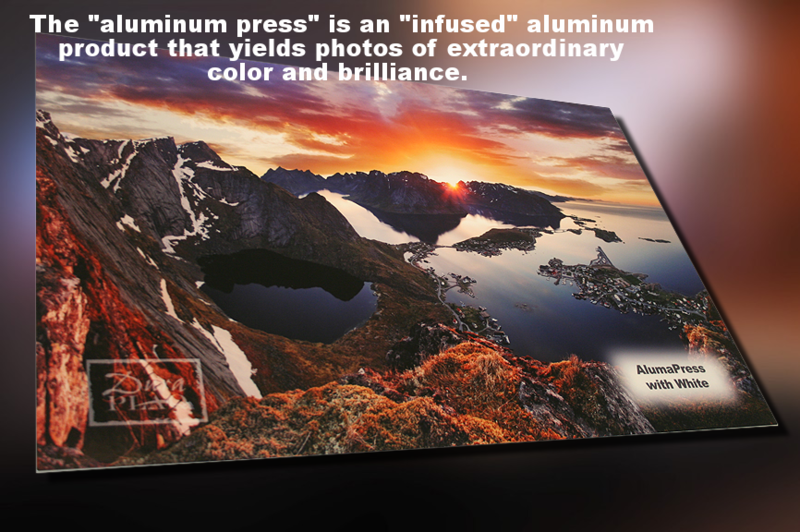 Infused Aluminum based prints offer dazzling color and resolution. 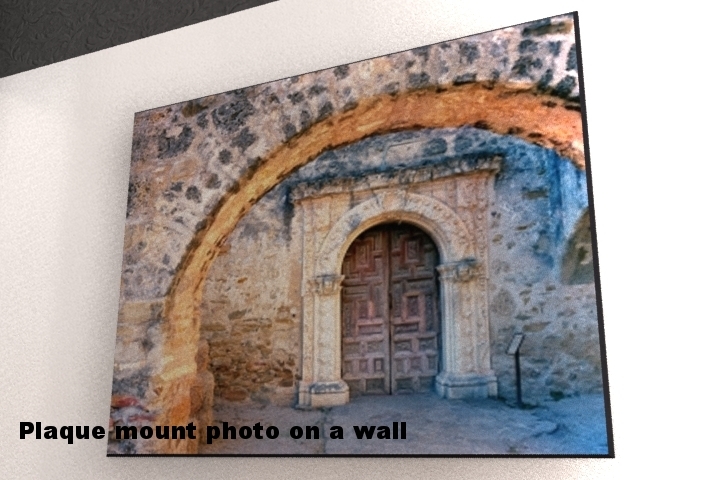 Photos can be printed on a 1/8th inch thick aluminum plaque with or without a frame on the back for hanging purposes. Those without a frame we recommend mounting in a standard frame to protect the plaque. Whatever you choose, we'll help walk you through the process and choices. Are we affordable? You bet! We can't quote every possible price and option here but for an example, a plaque mount direct print in a 16" x 20" can start at just under $100 (shipping not included) and a canvas wrap of the same size can start as low as $75! A satin finish plaque mount print of the same size goes for $150 plus shipping costs. 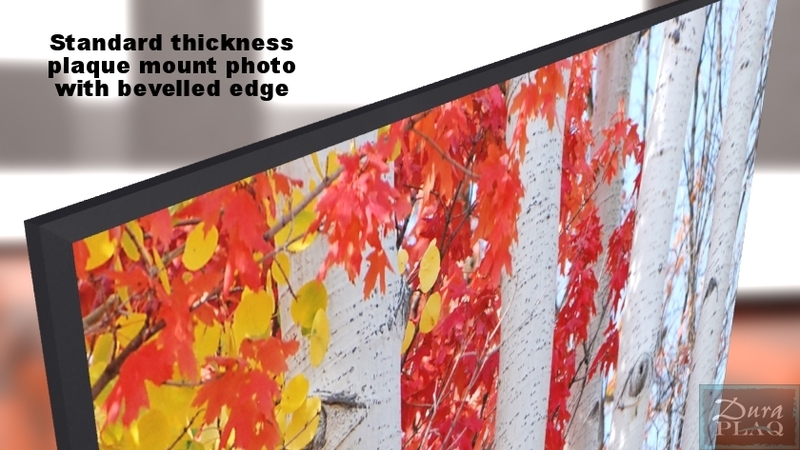 An infused aluminum print of similar size typically goes for $235. So please go to our "Contact" page, fill out the basic information we request and submit to us. (This data is for ordering purposes only and will not be sold to other merchants or companies.) We will get back to you ASAP to initiate your order unless we're out in some remote wilderness getting more beautiful pictures!